Washington DC may be known for all things politics, but there’s far more to this city. The first urban planner of Washington DC was Pierre L’Enfant. When designing ‘Federal City,’ his aim was to surround the hub of government with beautiful public gardens, inviting spaces of serene and scenic landscaping, places to embrace mindfulness and meditation and find an escape from the urban noise. Here, the phrase ‘meet me at the mall’ means something very different than in other towns and cities. The National Mall is filled with epic green spaces for lazy afternoons, lessons on botany and horticulture and exudes history in every blade of grass. Visit DC for a taste of what makes the country tick, but stay for the lessons and beauty of the surrounding natural vistas. Fall has begun and with it comes cooler temperatures and the vibrant changing of the leaves. It’s a great time to visit our nation’s capital, as there are numerous fall activities and festivities, outdoor attractions, and natural scenery to enjoy. Here are some of the top picks for fall fun in DC. If you only have a few days to spend in DC with your family, you’ll want to make the most of your time in the city. 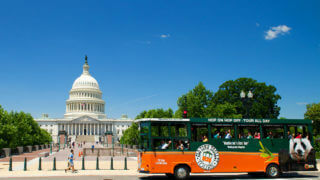 America’s capital city is home to many memorials, museums and attractions to interest people of all ages. With these time crunch tips, you’ll be able to see the highlights, experience DC’s rich history and enjoy the most important things to do with family. Our nation’s capital is one of those places every American must visit at least once in their lifetime. 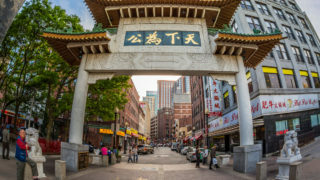 History abounds on every corner and an abundance of interesting attractions and sights offer something for people of all ages. Keep yourself and the family cool with this helpful list of things to do in DC during the summer. Step inside Smithsonian’s American Art Museum and discover what amazing talent lives and has lived in our nation throughout history. The first federal art collection, more than 40,000 works of art represent over 7,000 American artists who hail from every region, cultural and ethnical background of the United States. Here, visitors can view paintings, prints, photography, sculpture and more from artists who lived and worked throughout the United States, throughout the centuries. Meet America’s most remarkable citizens face­-to­-face at Smithsonian’s National Portrait Gallery. Stroll through the historic building, which was originally the U.S. Patent Office, and see paintings, photos, sculptures and more of famous Americans who have helped shape our nation. From the stunning exhibit of our Presidents, to photos of celebrities, scientists, entertainers, sports figures and more, the National Portrait Gallery offers a unique experience to guests of every age. Founded by Wilhelmina Cole Holladay and Wallace F. Holladay in 1981, the National Museum of Women in the Arts is dedicated to displaying works of art by women from all over the world. Their expansive collection includes pieces by more than 800 artists. View striking artwork created throughout various centuries; learn about the many different women who have expressed themselves through a diverse array of mediums. One of Dupont Circle’s more visited attractions features a glorious collection of textile arts from Africa, Asia and Latin America. Known as one of the world’s leading specialized art museums, close to 35,000 visitors from around the world come each year to appreciate the history and beauty of the museum’s works. Guests also enjoy viewing the historic buildings in which the museum is housed and the picturesque garden behind the buildings. The Corcoran Gallery was created to enhance and inspire American artists and their talents. Founded in 1869 by William Wilson Corcoran, the museum is known around the world for its collection of modern American art as well as European works including paintings, sculpture, photography and decorative arts. Today, visitors enjoy touring the vast fine art museum to view some of the world’s most magnificent masterpieces created by artists of the past and present. Part of the Smithsonian Institution, the National Zoo houses more than 400 species of animals. The zoo’s founder, naturalist William T. Hornaday, developed the zoo because of his concern over the decline of many native American species. Hornaday envisioned a facility that would breed endangered American animals in captivity and educate the public about wildlife. Although he eventually left the National Zoo, it continued to grow and today is known around the world for its collection of uncommon animals. Charles Sumner fought for the abolition of slavery and for the rights of African Americans throughout his career as a United States Senator. Today, people from all over the world can gain an understanding of his efforts at the museum that bears his name. The Charles Sumner Museum and Archives is housed at the historic Charles Sumner School building that was constructed in 1872. It was here that the first high school class of African Americans graduated in 1877. Just like the highly acclaimed magazine, the National Geographic Museum offers a stunning representation of the world we live in within its collection of exhibits, both permanent and changing. Adults and children will be intrigued by the colorful, interactive and extraordinary displays. From sculptures created entirely out of garbage to live frogs of every color in their natural habitats, there’s always something fascinating happening at the National Geographic Museum.